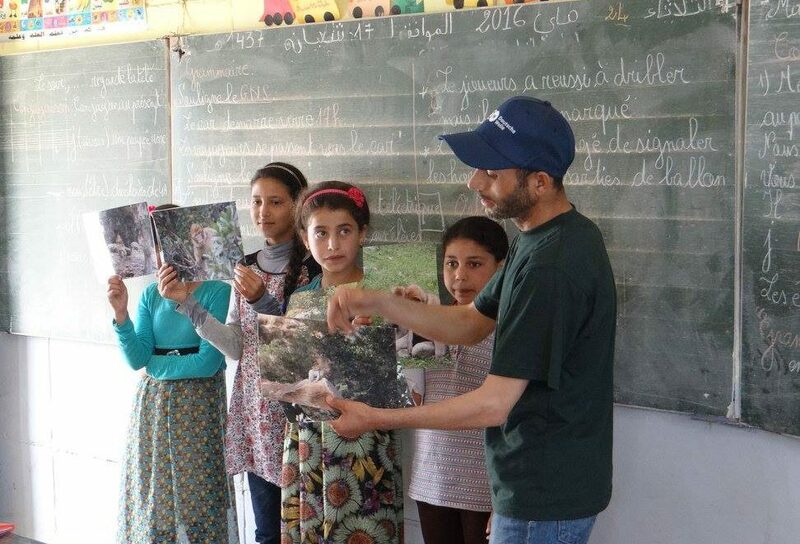 Tuesday 24th May was an exciting but nerve-wracking day for Ahmed Chetwan as he conducted a lesson on his own at Adrou village school – his first solo lesson as the new Education Officer for Bouhachem. Ahmed’s nerves were unfounded, however, as he did a great job and really enjoyed himself. We would like to thank Zoo Vienna Schönbrunn for supporting Ahmed in his important role.